The Aspects of Wheelchair Mobility Test (AWMT) was developed for use in a repeated measures format to provide comparative effectiveness data on mobility facilitated by different wheelchair types. It has been used in preliminary studies to compare the mobility of wheelchairs designed for low-resource areas and is intended to be simple and flexible enough so as to be used in low-technology settings. Sasaki, K., Rispin, K. (2016). Assessment of Physiological Performance and Perception of Pushing Different Wheelchairs on Indoor Modular Units Simulating a Surface Roughness Often Encountered in Under-Resourced Settings. Assistive Technology. Rispin, K., Wee, J. (2015). 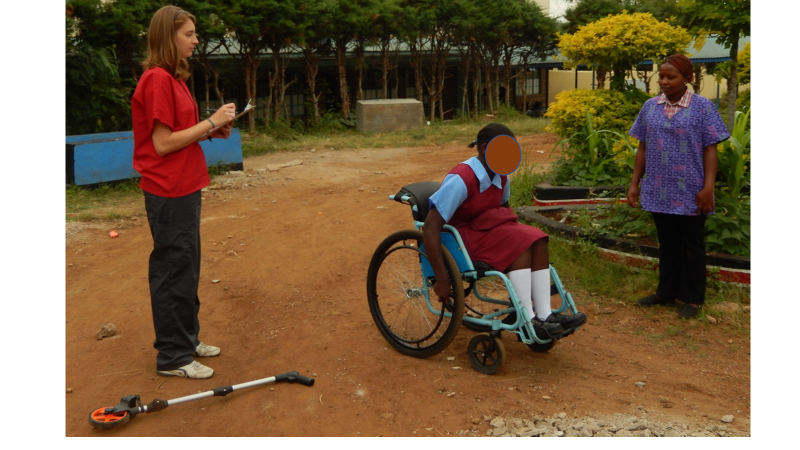 Comparison Between Performances of Three Types of Manual Wheelchairs Often Distributed in Low-Resource Settings. Disability and Rehabilitation: Assistive Technology(0), 1-7.